Compact and self-contained, the Turbo Stream produces high energy firefighting power with ease and precision. 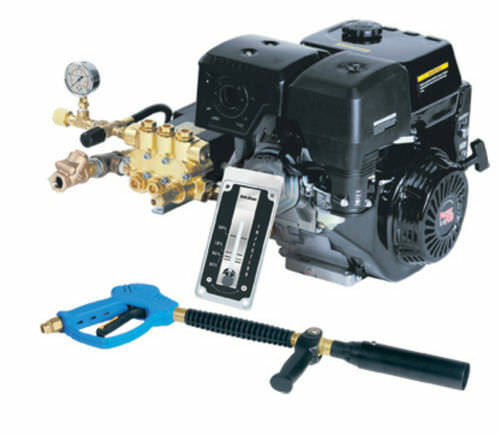 Driven by an exclusive PowerPro™ brand 13 HP gas engine, precise high pressure foam solution delivers rapid knockdown. While other systems use inaccurate suction side eductors, the Turbo Stream incorporates a patented foam concentrate injector system. The control module allows the operator to choose injection rates, from 0.3% to 3.0%, with unmatched accuracy. For proven performance, reliability, ease of use and accuracy; depend on Turbo Stream to deliver.